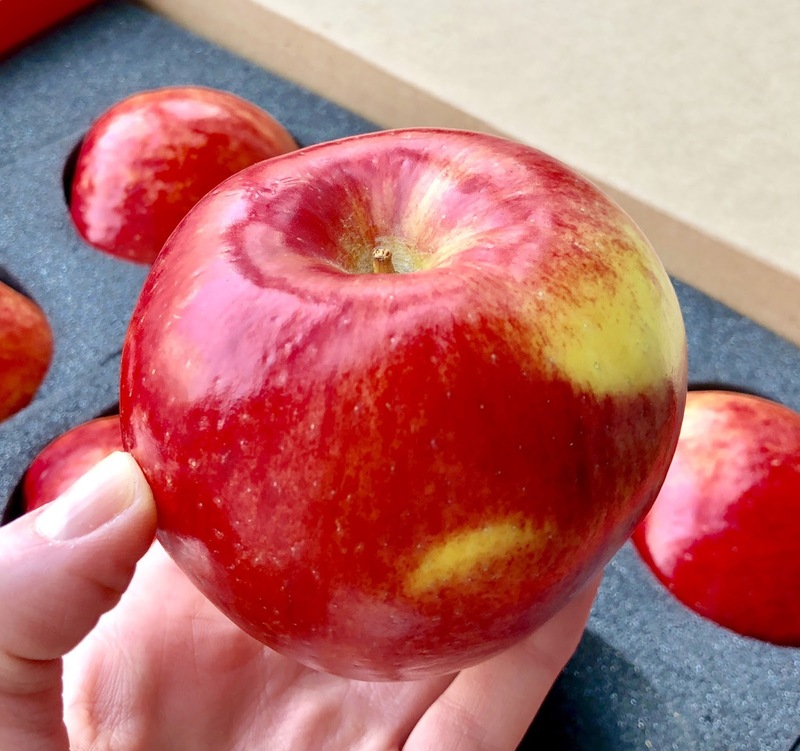 In my weekly vlog covering end of Feb/early March I tried the new Pazazz Apple - a deliciously crisp, vibrant red apple new to the Canadian market. 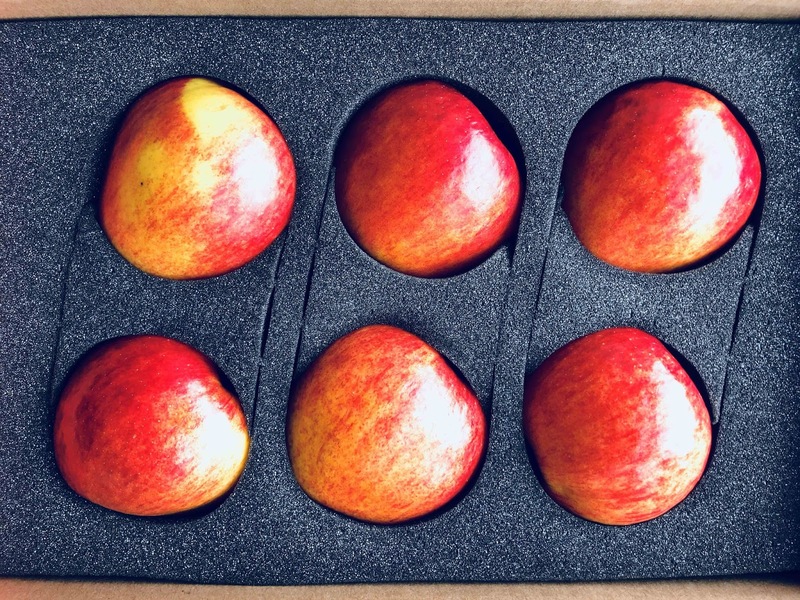 This apple is grown at Van Meekeren Farms in Nova Scotia, and tastes absolutely awesome. A descendant of the famous Honeycrisp and similar to a Fuji or Pink Lady (in my opinion), the flavour is sweet and the crunch is real. Some bites leave a distinct berry finish in your mouth, rivaling my favourite gummy candies. 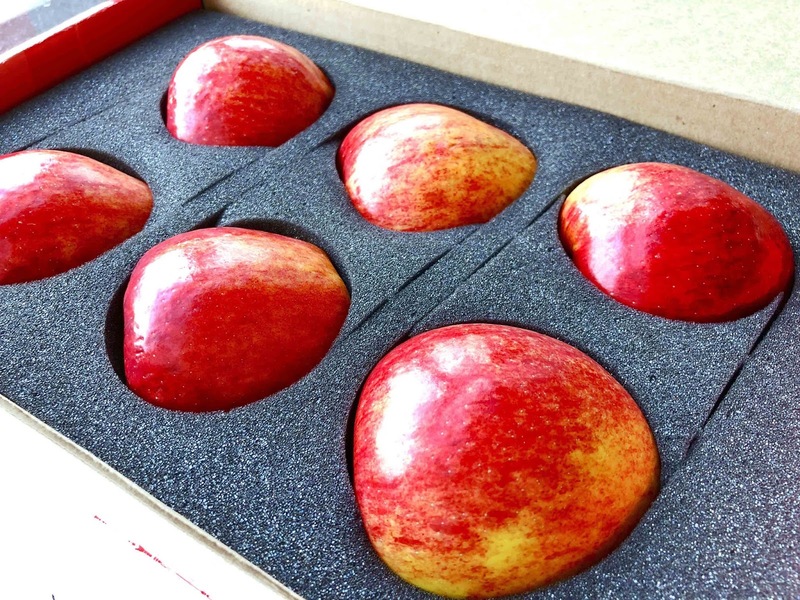 A group of my colleagues tried slices of a fresh Pazazz apple when this beautiful box arrived in early March. 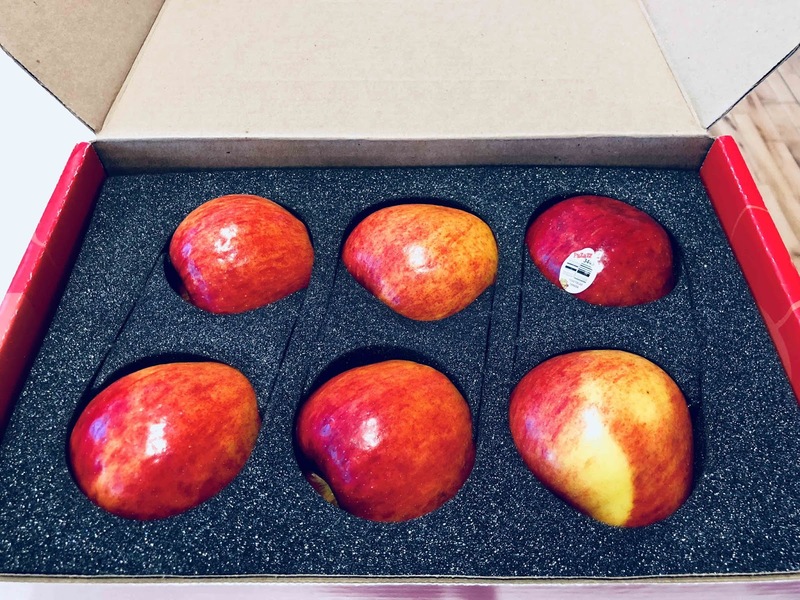 We all agreed that the flavour is satisfying and addictive, they were happy to hear that these apples are available in-store right now until early April. 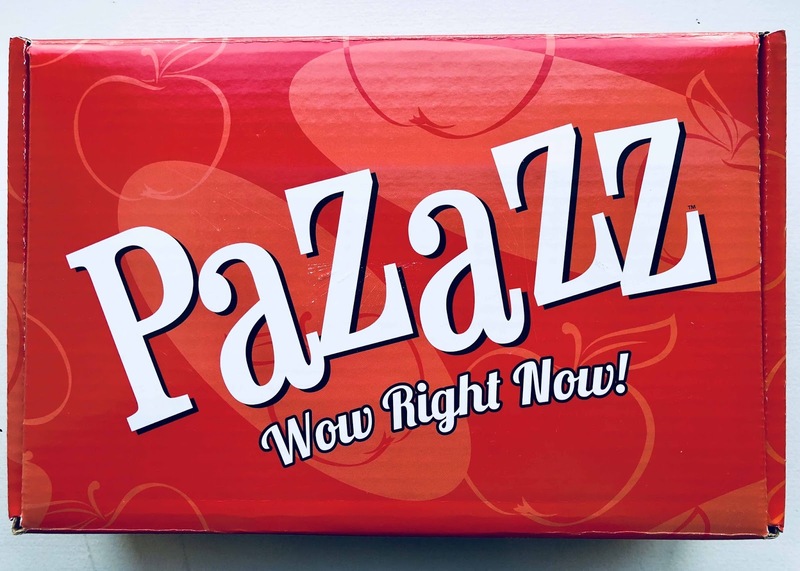 Pazazz pairs perfectly with a hard white cheese, and made for the perfect snack when I went skiing a few weekends back.